3 Bedroom Semi Detached House For Sale in Harpenden for Asking Price £675,000. 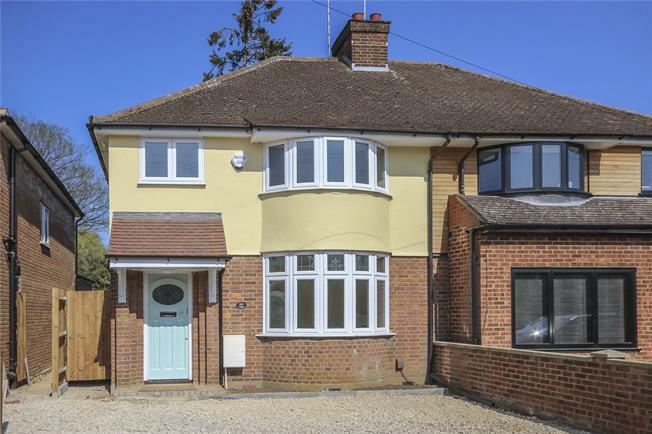 A superb professionally extended and refurbished family home by a respected local developer. This fine home has a stylish modern handless kitchen/dining/family room with island and a range of high specification appliances. To the front there is a driveway providing off street parking and to the rear is a generous garden. The property is located conveniently for Grove School and there is an excellent range of local amenities close by while the High Street and station are only appox 1.3 miles distant.